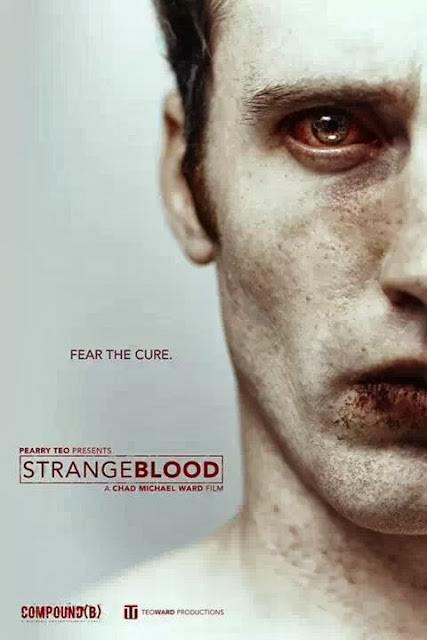 Strange Blood, the feature directorial debut of famed music video director Chad Michael Ward, has officially started production. When a brilliant but obsessive scientist goes to extremes to develop a universal cure for all disease, he finds himself infected with a bizarre parasite that begins to transform him into a bloodthirsty madman. The teaser trailer was released at AFM earlier this year and reports from the set have been favorable. Ward notes that the movie “is the most disturbing work of my career”, this coming from the man who has shot internationally acclaimed and controversial photo projects such as The Sick Series and The Pain Box as well as artists like Static-X and Marilyn Manson. “We definitely will have an unrated version” says producer Pearry Teo who directed the cult film, Necromentia. “No doubt I have seen some stomach-churning stuff during my career in horror but some of the scenes in Strange Blood take the cake”. Strange Blood is expected to be released at the end of 2014 by Teo Ward Productions and Compound B. 2014 is setting to be the year of Teo. Not only is his latest project, ‘Bedlam Stories’ taking over every media platform known to man but also making waves across the world as it’s own successful franchise. Prequel book ‘Project: Alice’ is due early next year and a sequel to the 5* rated original novel is also in the works. And it doesn’t stop there. 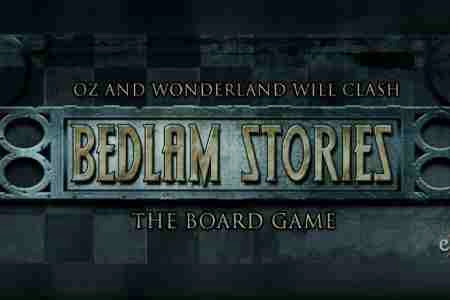 News today that ‘Bedlam Stories: The Board Game’ will have a spring 2014 release from Exequor Games. “We’re very excited to be involved with this vibrant transmedia franchise. We’ve brought you a horror-based board game before, but this one will take players to new heights of horror,” said Exequor Studio president Christian Boutin. The board game, based on the novel by Christine Converse, will plunge the players into the horrific life of the Bedlam Asylum inmates. Moving them around and trying to save them from the abominations of Oz and Wonderland… or trying to get them killed! The story centers on Dorothy Gale and Alice Liddell, beloved childhood characters, and their fantasy worlds, Oz and Wonderland, respectively. As they undergo a series of human experiments in Bedlam Asylum, their fantasy worlds become distorted and terrifyingly real. You will get to see first hand what happens when these two worlds collide in this exciting new board game. “Those familiar with Slash! will recognize some of the core mechanics, but Bedlam Stories will feature much deeper gameplay, a streamlined setup and all those horrifying situations inspired by the novel,” added Mr. Boutin. With this announcement it only adds to the franchise’s success and along with a film in development it’s fanbase is set to grow only stronger and stronger.